Ever since my holiday break among lavender-covered landscapes of Provence in South of France, I have been fascinated with purple and its rich shades. 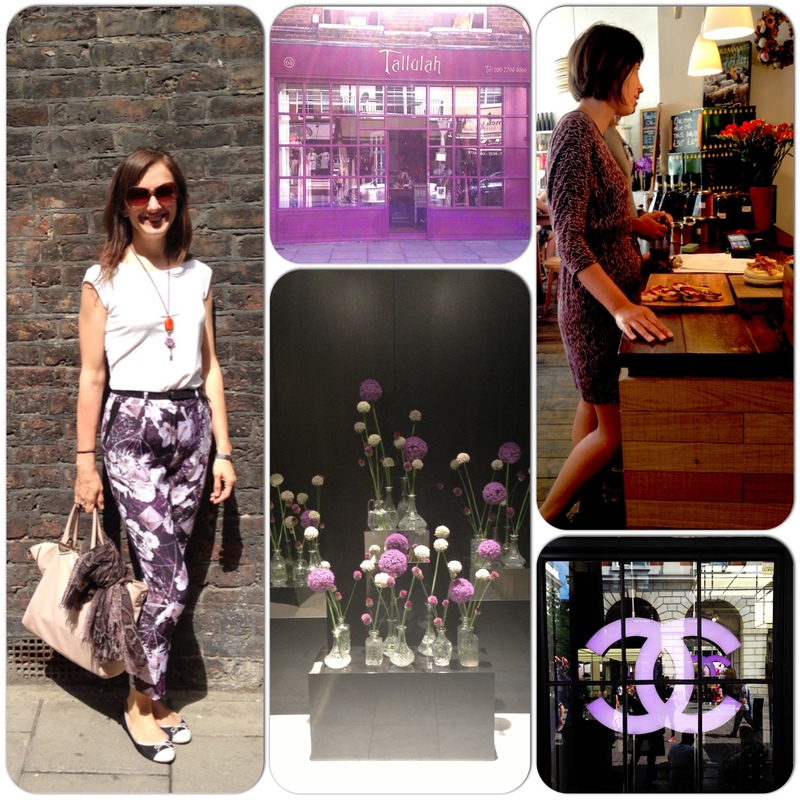 It turns out purple is quite popular in London at the moment too. 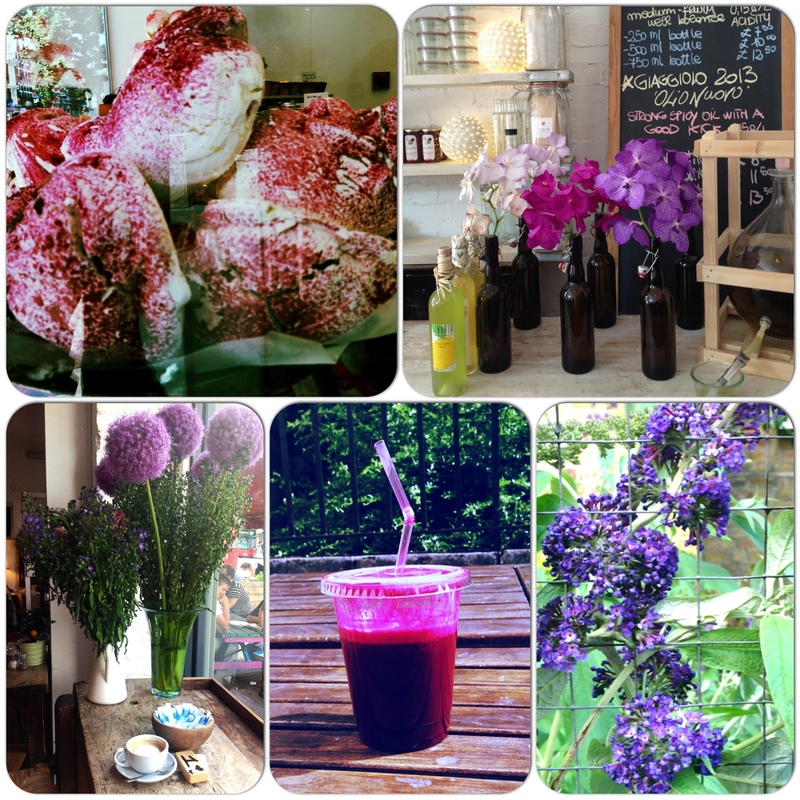 This weekend I am inspired by shades of purple: drinking antioxidant-rich juices, made from purple fruit, enjoying Italian coffee in a beautiful cafe next to a purple and violet bouquet, wearing my new purple trousers, seeing beautiful purples in shopwindows, streets and gardens.